As a general guideline for using with disinfectants is that the proper agent is adequately applied to the area at hand. If this is not taken into account it will lead to limited effectiveness of the disinfectant. The worst case scenario is that bacteria may become resistant to the disinfectant agent. Therefore, it is imperative to use the proper disinfectant agent for the task at hand. Some disinfectant are more effective in fighting bacteria and less so in removing viruses (limited antiviral agent) and some that have the properties to kill viruses (antiviral agents). For optimum application of disinfectants, there are three fundamental rules. Disinfectants are only effective once applied to the target area. Therefore, these surface area must be fully covered in disinfectant agent. It is therefore recommended to place the entire tube and pipe into the disinfectant. It is not possible to achieve the effectiveness of the disinfectant if the target area is not completely. Therefore, any visible must be removed beforehand. This is best achieved using water. 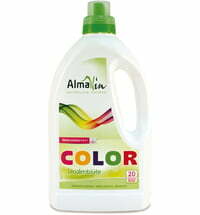 Cleaning agents form a thin layer that protects the bacteria from the active ingredients contained in the disinfectant. Disinfectants are only effective if the exposure time is not neglected. Some germs are stubborn and the disinfectants active ingredients require a certain amount of time to penetrate the area to be treated. Only then the germs become harmless. If the exposure time is not followed, 99.99% of bacteria, viruses and fungi are not killed. Always follow the guidelines displayed on the product label, as these may vary from product to product. Disinfectants are only efficient when used in the proper dosage. These disinfectants are available as concentrated or ready-made solutions. The ready-made solutions can be used immediately whereas concentrated solution require the agent to be diluted first. The latter requires that the solution is accurately mixed. A weak mixture may lead to the ineffectiveness of the solution whereas a too heavy a mixture can result in damaging the area to be treated. Please exercise caution when dealing with concentrated solutions as some are very potent and may lead to burns when spilled. Most disinfectants have an expiry date and once exceeded, cannot offer complete disinfecting action. Before use always check the expiry date. Please dispose of disinfectants in a proper manner. They are not to be poured down a toilet or sink. These agents contain potent ingredients that have a negative impact on the environment. A great alternative is using eco-friendly disinfectants like those listed on our Biolindo online shop to minimize the environmental impact. When disinfecting one should always use paper towels instead of cleaning rags. This can easily be disposed of after use. If you prefer using cleaning rags ensure that these are washed at a minimum of 60°C immediately after use. Never use the same cloths for different living areas (kitchen, bathroom, toilet). This can lead to the spreading of pathogens and germs.